I am in USA ad I brought my dell from India. My warranty has been expired. By pressing F8 after power on plug and using "repair your computer(top most option in advance menu)" is shows "system recovery options" and further by clicking next there are only two options to select either "Startup Repair" or "Dell datasafe Restore and Emergency Backup". If I click on "Startup Repair"it keep going for a quite for then says"Startup repair can not repair this computer automatically" with two options "send information about this computer(recommended)" and Don't send and on hitting "Send information about this computer" no solutions except it shows further two options to select either "Startup Repair" or "Dell datasafe Restore and Emergency Backup" as previous. Please help me to resolve this loop between restore factory setting and startup repair. I am not having original DVD of my OS provided by Dell. F8 Recovery does not repair physically damaged drives. You will have to buy a new hard drive and copy of windows. It's very likely the hard drive failed. You need to replace the hard drive. If you need the OS DVD, kindly provide the version and edition of Windows, like Windows 7 Home Premium, to assist you better. 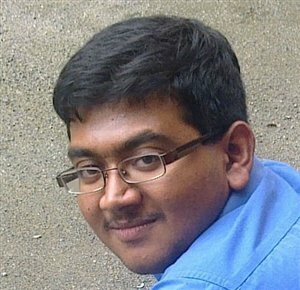 Hi Balaji I guess my Hard drive is not failed but I am not so sure. i need OS window 7. Can you help me? Regarding Windows 7 OS, can you provide the exact edition you're using, like Windows 7 Home premium or Windows 7 Professional. Instead of trying USB boot, you can try DVD boot. That'll work better than USB as some USB devices work and some may not. You cannot use an external hard drive and need to use a USB flash drive 4 GB or superior. I am in USA and I brought my dell from India. My warranty has been expired. I solved the last problem by installing window 8.1 but now webcam is not detecting . What to do for webcam in window 8.1?